VoIP, or voice-over-IP (Internet-Protocol), offers a better, more cost-effective way to communicate with your business partners, customers, and vendors. 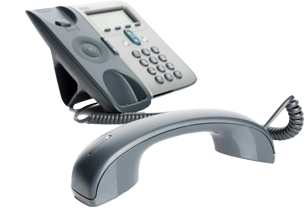 VoIP systems use high-speed Internet connections to make and receive phone calls. If you’re presently using an older analog business phone system – especially for long distance and international calls – voice-over-IP can save you money while providing increased flexibility for you and your employees. Idaho IT can examine your current needs and offer Boise VoIP solutions to replace or enhance your existing business phone system. Voice-over-IP business phone systems are less expensive than traditional systems because your monthly rate stays the same regardless of how many calls you make or how much distance is between you and the person you call. And with our packages, you don’t have to make a major initial investment in hardware. VoIP allows you to access your phone system anywhere there’s an Internet connection, anywhere in the world. It’s a smart choice for budget-minded businesses – especially those that have a traveling workforce. Since Voice-over-IP can easily be used with wireless connections, your employees can access your phone system while at home in Boise or on the road. And VoIP systems offer flexibility, allowing you to adjust and expand your services as your business needs change.Contact Idaho IT today to learn how you can save using VoIP.